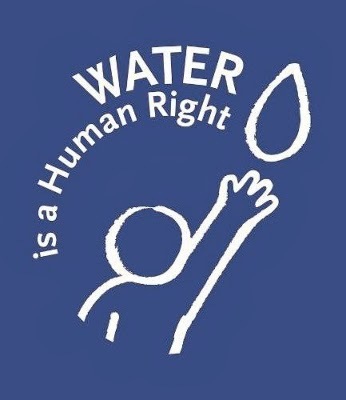 The European Commission (EC) published a Communication today to give its response to the first successful European Citizens' Initiative (ECI) which called on the EC "to implement the human right to water and sanitation in European law." In the Communication, the EC recalls the importance of the human right to water and sanitation and states the importance of water as a public good and fundamental value and that "water is not a commercial product." However, that's as far as it goes. "The reaction of the European Commission lacks any real ambition to respond appropriately to the expectations of 1.9 million people," says Jan Willem Goudriaan, vice-president of http://www.right2water.eu. "I regret that there is no proposal for legislation recognising the human right to water." The ECI also asked for a legal commitment that there would be no EU initiatives to liberalise water and sanitation services. But there is nothing in the Communication on this. We welcome the fact that the support of people for our ECI led to the exclusion of water and sanitation services from the concessions directive. However, the Communication makes no commitment to explicitly exclude these services from trade negotiations such as the Transatlantic Trade and Investment Partnership (TTIP). Nevertheless, there are aspects of the European Commission response that we consider positive. For example, the recognition that the provision of water services is the responsibility of local authorities which are closest to citizens. This confirms the trend towards remunicipalisation across Europe which, according to the Communication, is the safest way for water to be kept out of internal market rules, one of the ECI's main demands. We also welcome the Commission's commitment to promote universal access to water and sanitation in its development policies and to promote public-public partnerships. We expect that the review of the Water Framework Directive and the Drinking Water Directive will be an opportunity to realise the human right to water and sanitation in the EU. The Citizens' Committee expects to be considered as a major stakeholder.